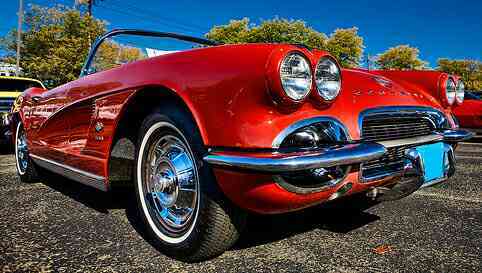 In fact, with the second-generation Corvette now just one model year away, there were few within Chevrolet who did not view the 1962 Corvette as anything other than a transitional model between the classic styling of the C1 roadster and the far more competitive and edgy lines of the next generation Corvette. 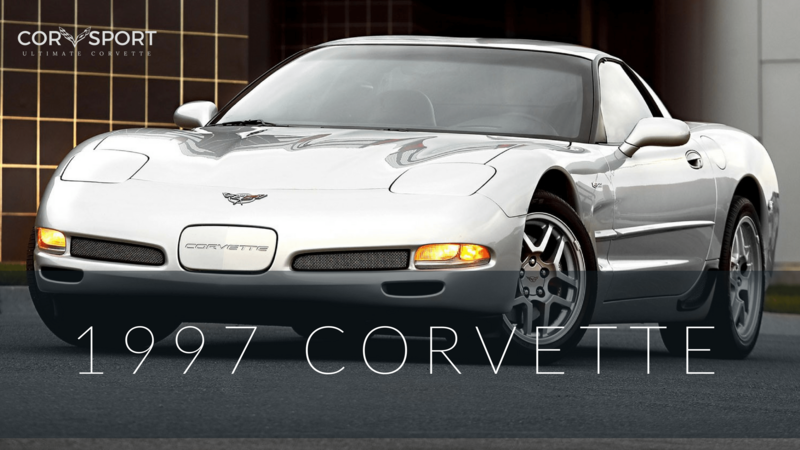 The 1962 model year represents the end of an era for the Chevrolet Corvette. 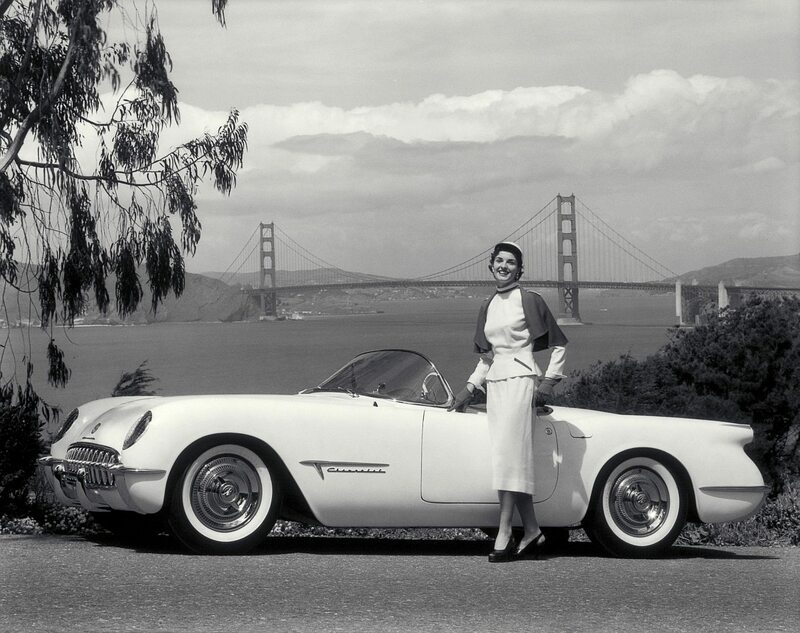 Over the course of ten years, the Corvette had evolved from Harley Earl’s conceptual two-seat sports car – a car that was initially plagued with design and performance deficiencies – into a vehicle that rivaled sports cars around the world with an unabashed reputation for performance and fun. 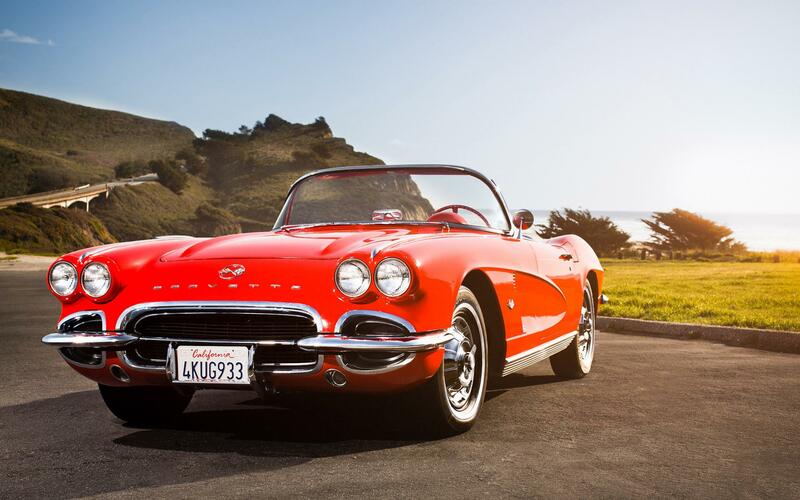 Despite the fact that the 1962 is considered one of the greatest of all the C1 Corvettes, the perception that the 1962 Corvette was “transitional” was not completely unwarranted. 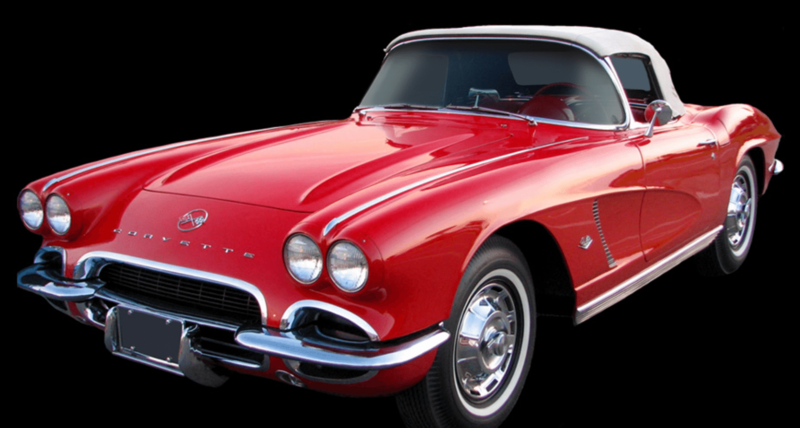 For one, the ‘62 Corvette was the first model year to incorporate the 327 cubic inch V-8 engine in place of the smaller 283 cubic inch engine. Though technically the same engine block as the 283, the smaller engine was bored and stroked to bring its cylinder dimensions to 4.00 x 3.25 inches and it’s displacement up to 327 cubic inches. While this larger engine would certainly produce more horsepower, there were other changes that would have to be incorporated first to ensure that the engine could receive the air and fuel it would need to run as it was meant to. A small but significant change was made to the Rochester fuel injection system that allowed more air/fuel to pass through it which helped to feed the “deeper-breathing” 327 small block. In addition, heavier duty bearings, larger ports and a longer duration camshaft were fitted to the base 250-bhp engine. Duntov’s solid-lifter camshaft was now a standard spec for the most powerful of the three carbureted engines – an engine that would be officially rated as producing 340 horsepower. The Duntov cam would also be placed in the top “fuelie” (fuel-injected) engine that year.Both of the engines sporting Duntov cams ran a tight 11.25:1 compression ratio, which was a considerable step up from the base level and mid level 300 horsepower engines, which ran a more conventional 10.5:1 compression. Of these engines, the lower end engines were actually considered the best choice for an all purpose Corvette. They offered the driver enough power to satisfy his (or her) lust for speed and performance while remaining simple enough that they provided easy maintenance and repair. 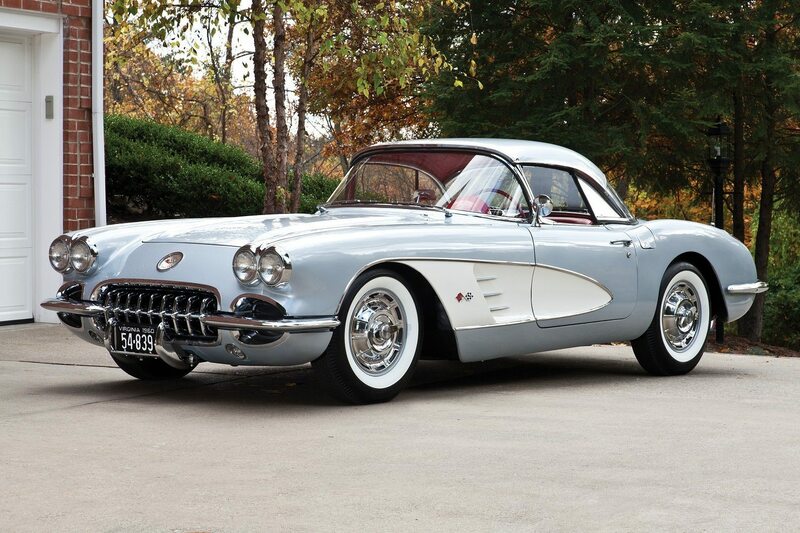 DID YOU KNOW: The conventional trunk design of the 1962 Corvette was the last model to include it for many years. The models that followed had no external rear storage access until 1982 when a special “collector’s edition” Corvette featured a hatch window which allowed access to the rear storage compartment area. 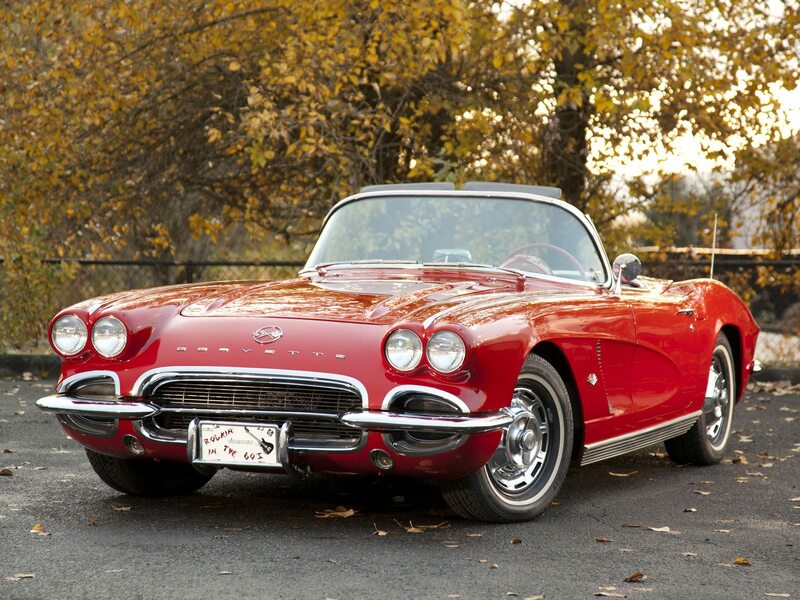 Still, a trunk comparable to the 1962’s did not re-appear until the introduction of the C5 Corvette Convertible in 1998. 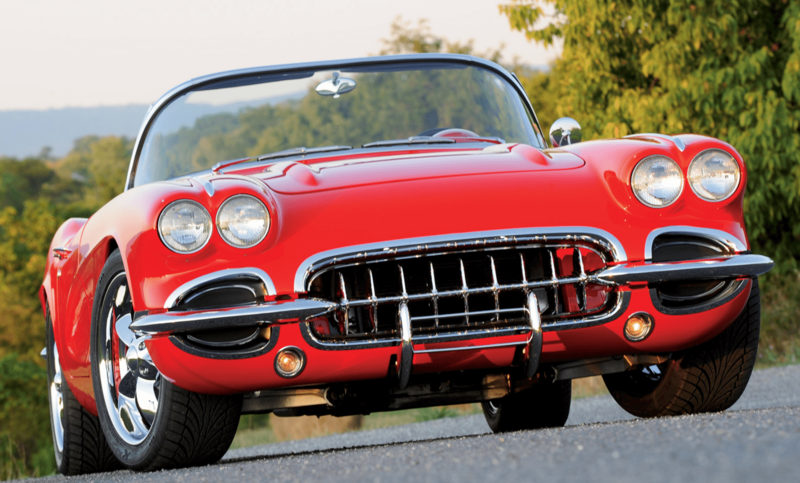 Gone forever from the 1962 (and all future models) Corvette was the troublesome twin four-barrel Carter carburetors. These were replaced by a more powerful, single four barrel Carter carburetor. While these top two versions of the new 327 engine proved to provide a consistent improvement in power over its predecessor, the peak of its power curve occurred at the engine’s top end while it turned some 6,000 rpm – which was considered incredibly fast at that time for a pushrod power plant. Of the smaller engines, peak power was achieved at 4,400 rpm (the 250 horsepower engine) and at 5,000 rpm (the 300 horsepower engine). Of all these engines, only the last two were made available with the optional Powerglide automatic transmission. 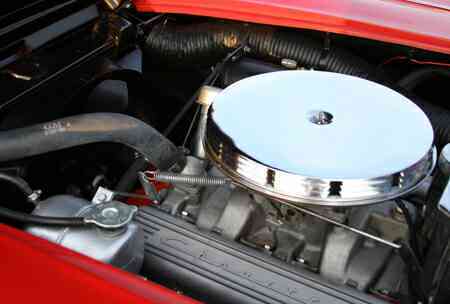 Like the four speed manual in 1961, the Powerglide was fitted with a weight-reducing aluminum case, which helped improve performance and decreased the overall weight of the car. The 1962 Corvette’s coves. Note the absence of chrome and the matching paint color. 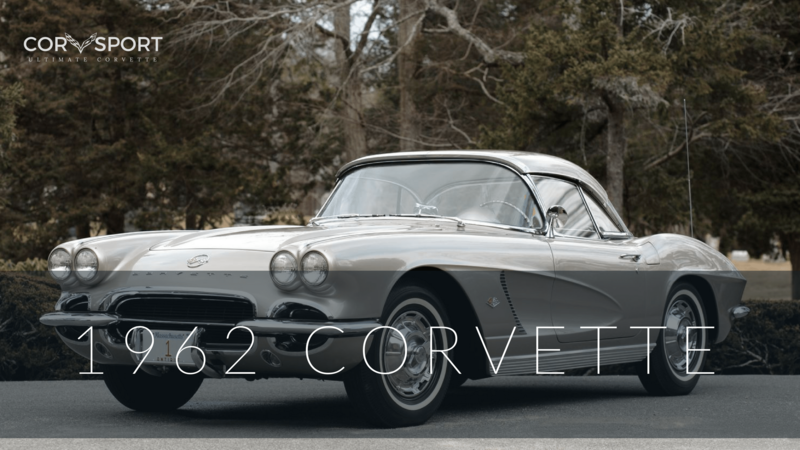 While the jump to a V-8 in the 1950’s had proved pivotal to the Corvette’s ultimate success and sustainability, nobody could have imagined the impact that the introduction of the 327 V-8 would have on the last of the C1 Corvettes. 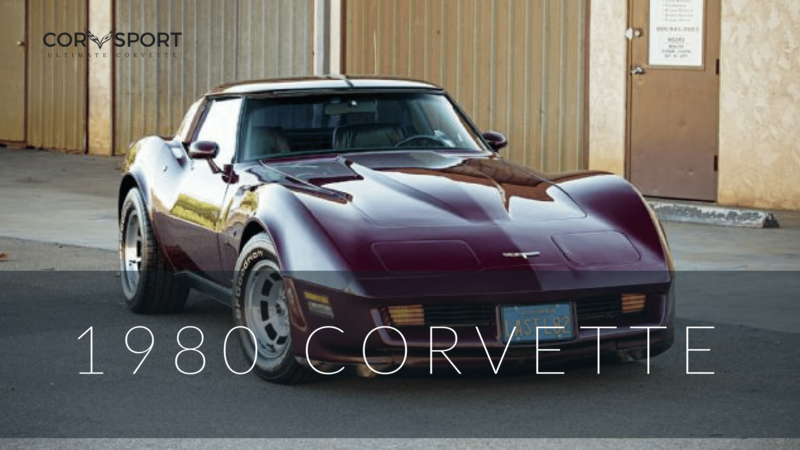 The larger 327 V-8 produced power and torque that was unparalleled with anything seen prior to its emergence as the primary power plant of the 62 Corvette. 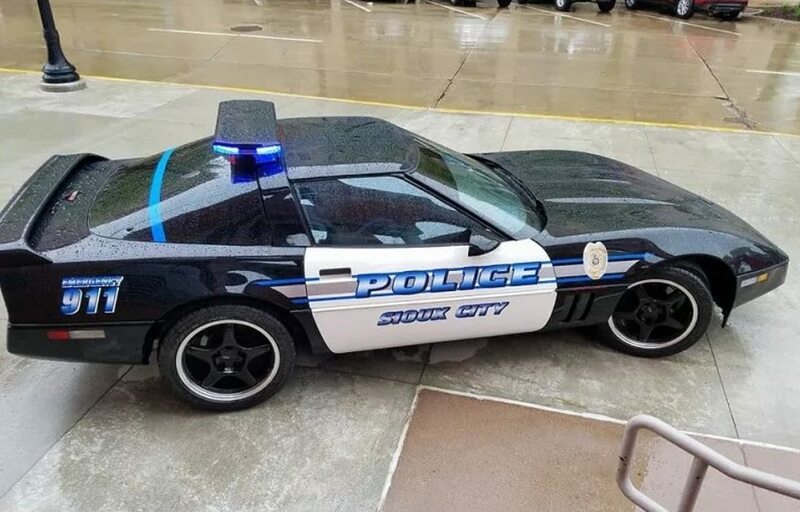 This new ‘Vette, when equipped with a four speed and fuel injection, could regularly run the quarter mile in under fifteen (15) seconds and achieve speeds in excess of 100 mile per hour while doing so. Of course, as with each of the several different iterations of the C1 Corvette before it, the 1962 Corvette did undergo more than just a mechanical overhaul. 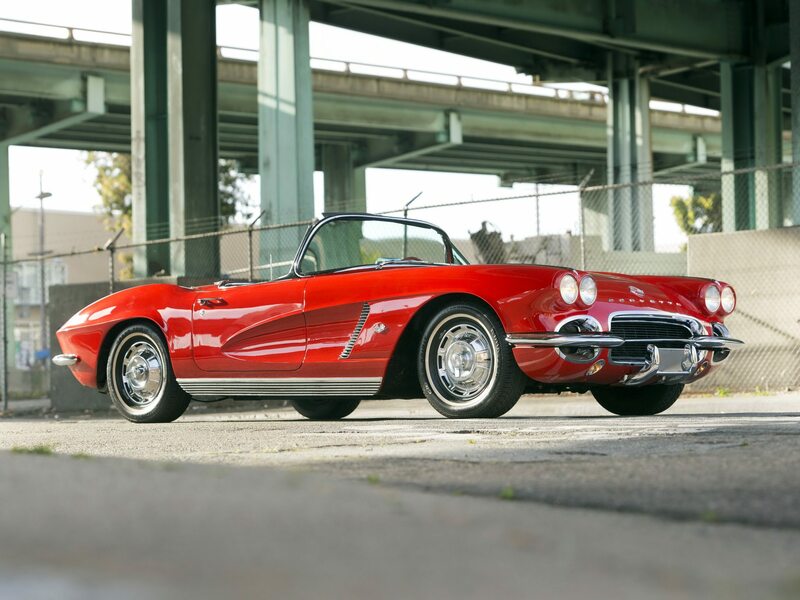 Though the overall appearance of the ‘62 remained faithful to the styling of Harley Earl’s earlier models, this new Corvette was, and remains, one of the most desirable of all the C1 models. While it’s styling was beginning to look a bit dated as it moved into it’s second decade of existence, this final variation was stripped of any of the remaining excesses that had plagued it’s earlier counterparts. The most obvious of these deletions was the removal of the chrome outlines that had framed the body side coves since 1956. Further, the chrome accent spears (that had accentuated the side vents within the coves) were also removed, replaced instead by more conservative aluminum blades that were finished in black. Another omission which added to the more cohesive look of the car was the deletion of the option to have the coves painted in a different color than the rest of the car. 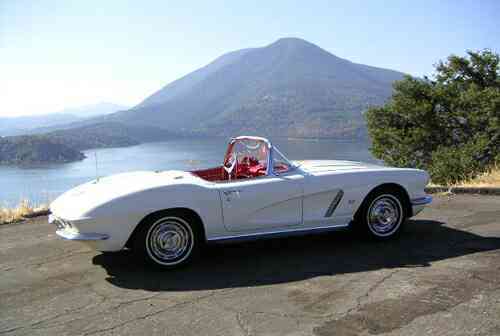 The 1962 Corvette was the only C1 ‘Vette to feature narrow band white wall tires and chrome rocker panels. 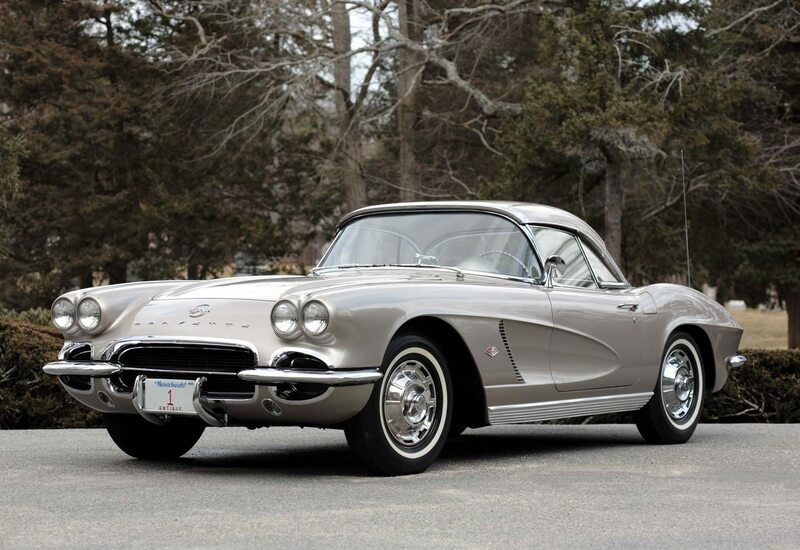 Other subtle changes also helped to give the 1962 Corvette a more unified appearance. Like the side spears in the coves, the silver mesh grille and its flanking cutouts were now finished in black, as was the background of the trunk lid medallion. Following one of the most popular automotive styling trends of the era, the ’62 Corvette was fitted with narrow-band white wall tires. They mated perfectly with the new Corvette and only helped to enhance its sleek, nearly minimalist appearance. 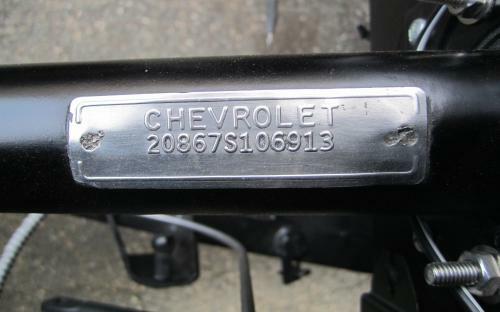 In fact, the only place where any form of decoration was actually added was to the rocker panels, which were newly adorned with ribbed anodized-aluminum moldings. Despite it’s origins and it’s undeniable ties to the very first Corvette, the 1962 was faster, handled better, was more physically appealing, and was the most completely realized and most civilized of any Corvette made to date, though it continued to retain much of the pioneering imagination that made Harley Earl’s 1953 concept car such a triumph at it’s unveiling during the 1953 Motorama. Sales of the 1962 Corvette jumped by nearly 40 percent from the previous year, with total sales of 14,531 units, pushing the Corvette firmly “into the black” on General Motors financial bottom line. 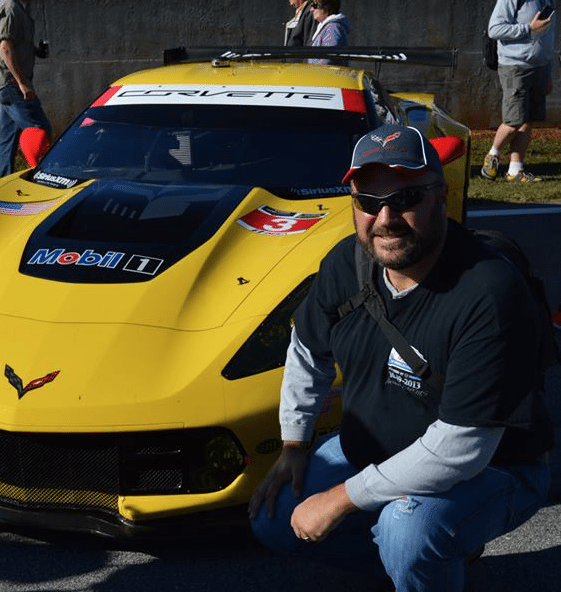 For those early pioneers of the Corvette – Cole, Duntov, and Mitchell – this came as a huge relief. After all, they (like Harley Earl (before his retirement)), were the ones who fought to keep the Corvette program alive during its darkest days. Of course, getting to this point was only half the battle. 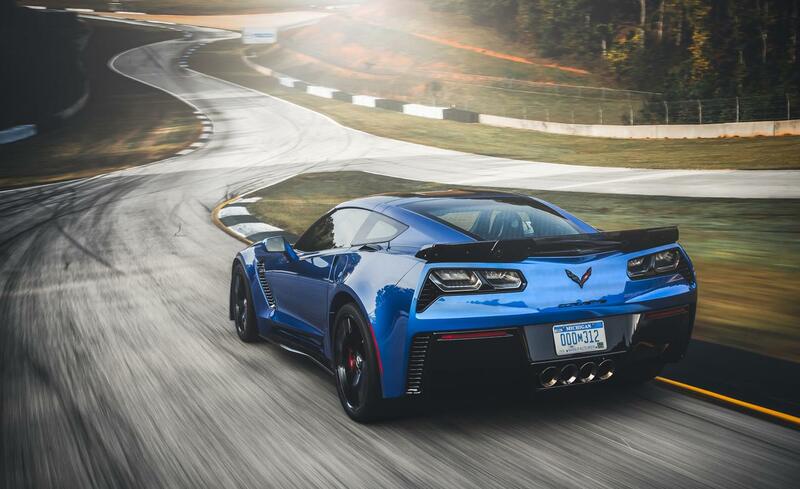 Now that they had achieved solid financial success with the C1 Corvette platform, it was imperative that they bring Corvette forward into its next iteration and, in so doing, take the car to even greater successes. Little did any of them realize just how successful Corvette was about to become. Diameter Free 13.75; working [email protected] 1245 lb. S (Sixth Digit) Location of the Assembly Plant. S – St. Louis, Missouri. The last six digits begin at 100001 and run thru 110939. Each Vehicle Identification Number (VIN) is unique to an individual car. 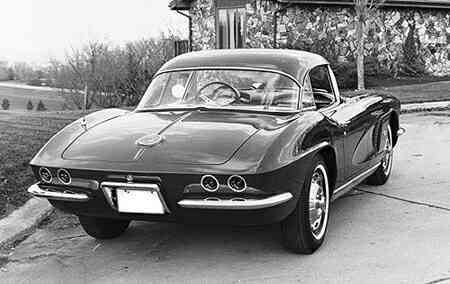 For all 1962 Corvettes, the location of the Vehicle Identification Number (VIN) is stamped on a stainless steel tag and secured to the steering column in the engine compartment. The base price of the 1962 Chevrolet Corvette without any optional equipment. This base option price included a 327 cubic inch, 250 horsepower V8 4-barrel carburetor engine, 3-speed manual transmission, vinyl interior trim, and a soft top. This axle ratio was recommended in combination with RPO 685 (4-Speed Manual Transmission). This combination gave an overall low gear of 7.83:1 for quick starts off the line. A “high output” version of the standard 327 CI, 250 HP engine. 4,412 of the 1962 Corvettes were built with this engine. Although the Auxiliary Hardtop is shown as an option, customers could swap the convertible top for the auxiliary hard top at no additional cost. Of the 8,074 Corvettes sold with this option, 3,179 of them were the result of this substitution. Or straight-through mufflers which allowed for better exhaust flow to reduce back pressure. 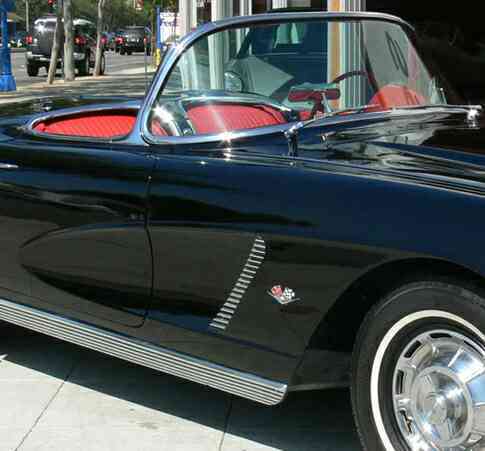 Unlike the 1953-1955 Corvette Roadsters, which had an optional top that could be attached to the car, this convertible top was an integral part of the design, allowing the 1962 Corvette to be classified as a true convertible. Special fiber glass fuel tank that allowed for greater fuel mileage by reducing weight. 1,918 of the 1962 Corvettes were built with this engine. 3,294 of the 1962 Corvettes were built with this engine. For 1962, RPO 675 required that the Corvette have a manual transmission. Had a narrower white side wall. Were offered as an option to the standard whitewall tires. 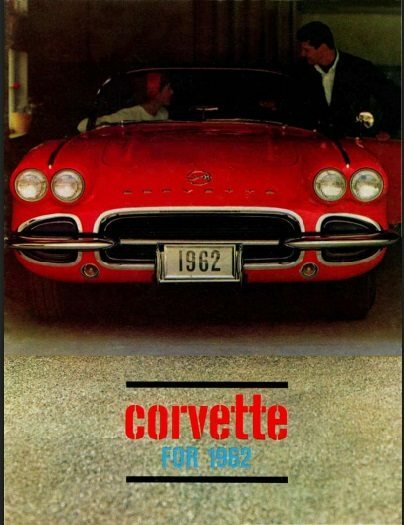 Download this 1962 Corvette Dealers Sales Brochure for a quick look at the features of the car.